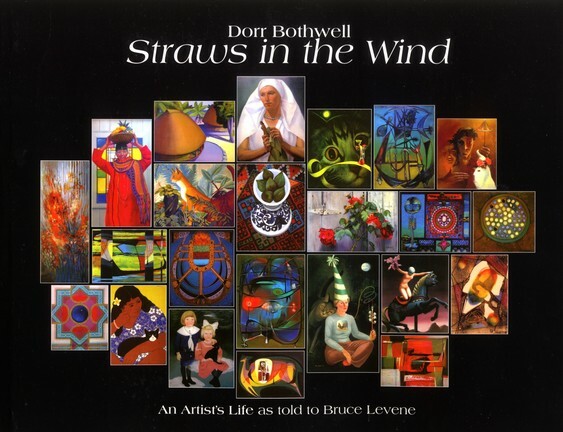 Dorr Bothwell, Straws in the Wind is a labor of love by historian Bruce Levene. Bothwell’s perception, humor, and rapport with Levene shine through the many interviews conducted during the 1980s. After the interviews, Levene devoted years to collecting and studying Dorr Bothwell’s painting, serigraphy, and collage, in order to choose over 200 works of art illustrating Bothwell’s range. In addition, Levene provides many photos from throughout Bothwell’s life. Dorr Bothwell: Straws in the Wind: An Artist’s Life as Told to Bruce Levene (2013). 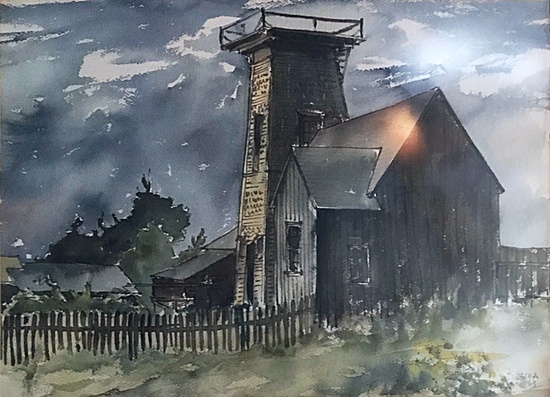 From a transcendent moment in 1906 when she was four years old, until 1997, when her eyes no longer allowed her to paint, Dorr Bothwell never deviated for one moment from her life-long artistic quest. As a woman and a Californian, she faced prejudices and obstacles—and at times hardships—that would have impeded most people. Not Dorr. She continued painting, traveling, teaching and examining new-found paths of her own creation. Dorr Bothwell was the invincible spirit of American Modernism, the epitome of artistic creativity during the 20th Century. Dorr Bothwell: Straws in the Wind: An Artist’s Life as told to Bruce Levene was first published in 2013 by Pacific Transcriptions. Details: Dorr Bothwell: Straws in the Wind: An Artist’s Life as told to Bruce Levene / paperback / 11″ x 8.5″ / 132 pages / Pacific Transcriptions, publisher (2018) / $24.95. Straws in the Wind can be ordered online, or purchased in person from Gallery Bookshop on the corner of Main & Kasten Streets in Mendocino.